Guaranteed to add refinement and class to your table, this personalized European crystal decanter is the epitome of good taste. It’s ideal for decorative display or for beverage use, adding a luxurious touch to any bar or shelf. Remove the heavy crystal stopper top, fill with a favorite drink, and let the libations flow. 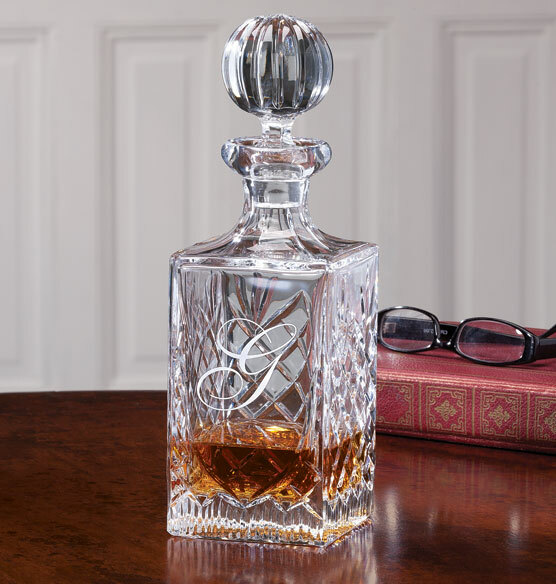 Personalized with a single initial monogram, this engraved decanter makes a lovely gift for someone with a discerning eye.